The use of cannabis as an additional drug was very prevalent in the same period. 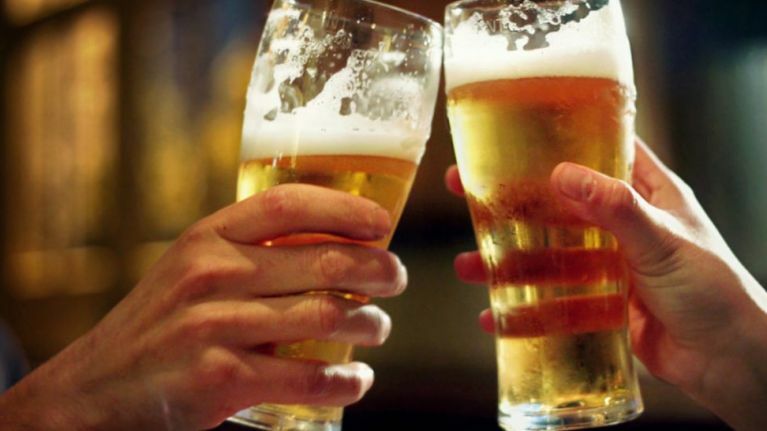 55,675 cases were treated for problem alcohol use in Ireland between 2011 and 2017, according to a new report by the Health Research Board. The same report reveals that there were 7,350 treated cases during 2017, a decrease from 7,643 in 2016. Three in every four cases were alcohol dependent and women have similar rates of alcohol dependence to men. 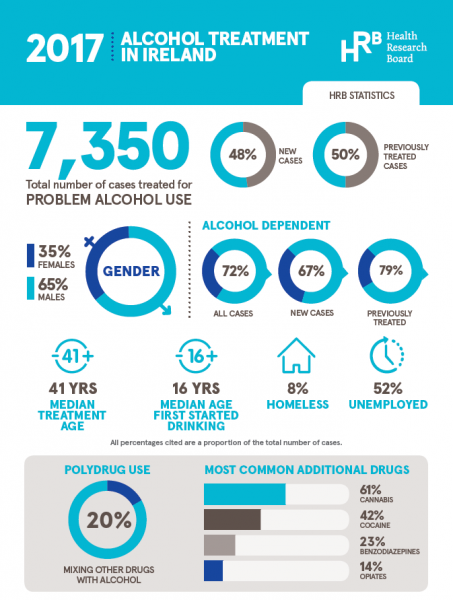 Polydrug use (problem use of more than one drug) - remained relatively stable in the period 2011 (19%) to 2017 (20%), accounting for one-fifth of those treated for problem alcohol use. Cannabis proved to be the most widely used additional drug in these instances; it was also the most common additional drug for both males and females. The number of cases of treatment for cannabis in polydrug use declined steadily from 68% in 2011 to 58% in 2016, but increased slightly to 61% in 2017. Cocaine was the second most commonly used drug by those treated for problem alcohol use, with figures increasing from 29% in 2011 to 42% in 2017. Benzodiazepines were the third most common additional drug reported (23%); in 2017, opiates as an additional drug for those treated for problem alcohol use was more common among females (21%) than males (12%). The study in its entirety can be read here.